Much has been made about the Philadelphia Phillies likely being aggressive in the free agent market this off-season. Now we are learning that “aggressive” might not be the best way to describe the club’s plans. Phillies principal owner John Middleton, a multi-billionaire with an MBA from Harvard University, is hardly stupid. But apparently that may be the better word to use if you wish to describe the team’s plans in approaching the current market of available players. In a series of recent pieces here at Phillies Nation (see below), I’ve outlined the importance of this off-season from a competitive standpoint. I’ve talked about the state of the Phillies current and future financial obligations. And I’ve written on the results, which should have direct impact on general manager Matt Klentak’s next job evaluation by Middleton. The Phillies owner is in it to win it. He has never expressed anything other than a strong desire to have the club develop into a year-in, year-out consistent contender. 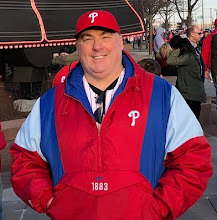 The real question that Phillies fans are now asking is do Middleton’s baseball people, particularly Klentak and club president Andy MacPhail, have what it takes to make that a reality? “Matt is going to be a busy boy this winter,’’ Middleton said to Nightengale in regard to his general manager. However, in the end the GM will need to have been more than “busy”, he’ll need to have been successful. Middleton is ready to open the purse strings and lay out the cash for “stupid” big contracts. It is now up to Klentak and MacPhail to get the right impact players to sign their names to such contracts. And it is up to Middleton to ensure that they understand the importance of making the right decisions, and the consequences of failure. Originally published at Phillies Nation as "Phillies owner John Middleton expects team may get "a little bit stupid" in spending this off-season.